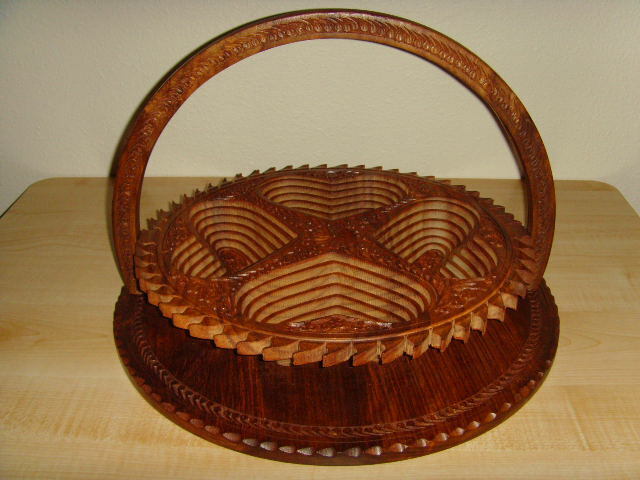 This unique collapsible basket is made out of solid rose wood and is all hand carved. It can be used as a trivet or a hot plate while in a flat position and is easy to store, to carry, or even to ship. Once in a self standing position it can be used as a decorative piece of art, a fruit basket, or for potpourri, candies, chocolate, nuts, and more.